Good News job Hunters! The Results Companies (Results), one of the world’s leading customer experience management partners in the business process outsourcing (BPO) space, opened a third site in the Philippines. The new branch is located at Q Plaza, just in front of Sta. Lucia Mall in Cainta last May 23, 2012. Joining Results’ Silver City and Eastwood locations, the opening of the Q Plaza facility and continued growth of Results will create more than 500 new jobs in 2012. The new location will include a significant support structure of operation managers, supervisors, trainers and quality roles. 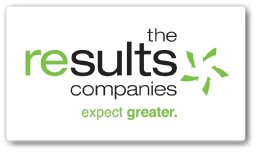 The company is accepting applications for sales agents and support positions through their website at www.theresultscompanies.com/jobs. For more than 20 years, The Results Companies has served as a premier global customer solutions provider for Fortune 500 companies. With over 5,000 employees in 11 near shore, off shore and domestic customer contact centers, The Results Companies’ expertise extends beyond call centers. They were experts in representatives, analytical technologies, brand fulfillment and creating strategic advantages for our clients. Visit TheResultsCompanies.com to learn more.